1-hole, color-coded tags for many uses indoors & out. Can be stamped or engraved by you. Great for identifying Safety Padlocks and Keys for Lockout/Tagout Operations. 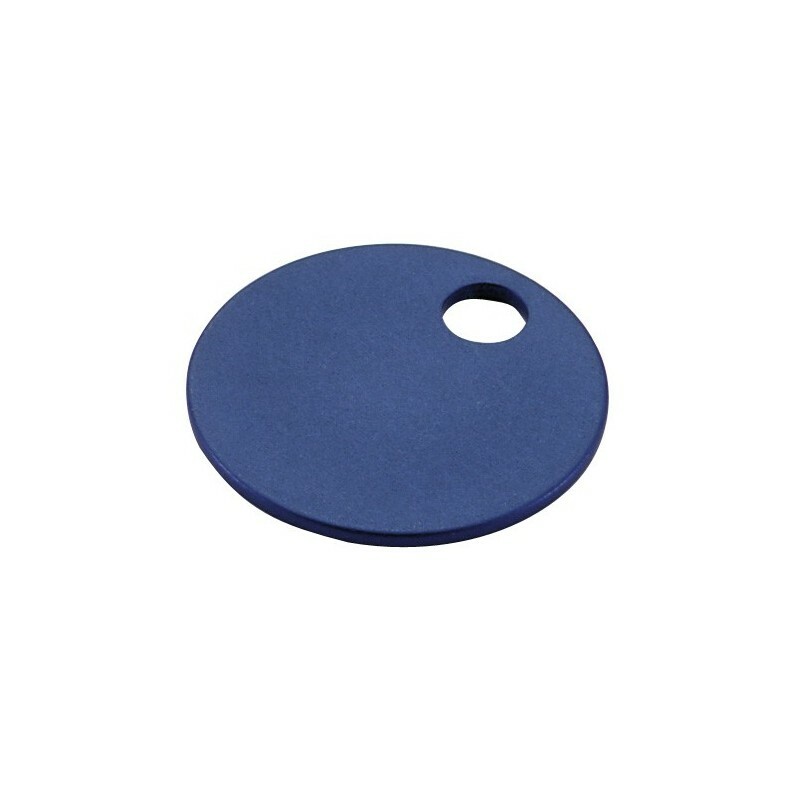 Perfect for pet tags, facilities management, I.D. near water outlets. Available in black, blue, green, orange, purple, red, gold, silver or assorted mix.